Renderings courtesy of the Salvation Army. Plans are moving forward with the Salvation Army’s proposed expansion of their Citadel Campus after its third and final phase was approved by the Long Beach Planning Commission. Located at the northeast corner of Long Beach Blvd. and Spring, just east of Veterans Park, the 3.6-acre lot will eventually be home to a 23,000 sq. ft. gymnasium and youth soccer field. This is the third phase of the redevelopment; its first phase began in 2014, which converted vacated businesses into social service spaces while the second phase, launched in 2016, created the chapel that is currently in place. 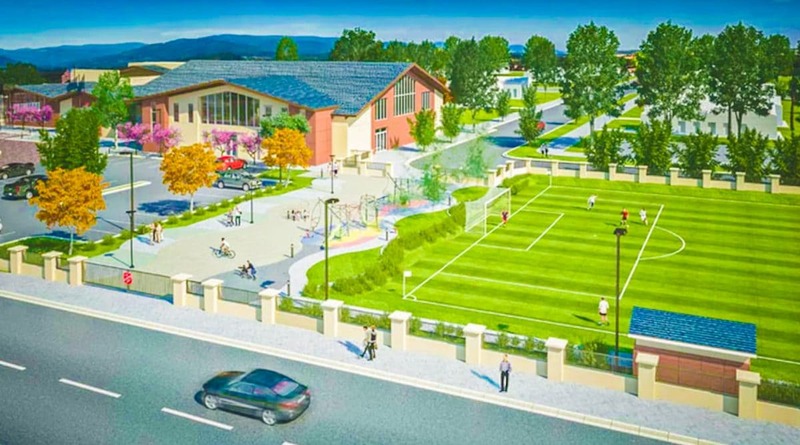 This third phase will also include a pedestrian path connecting the a new 70-space parking lot to the existing chapel.